JERKY RECALL: The Milo’s Kitchen, Wagging Tails and Canyon Creek jerkies that was making dogs sick have been recalled. Susie goes to great lengths to ensure that anything edible in our store is ONLY USA sourced (or another country with stricter regulations than we have such as Canada). We will never carry anything edible that comes from China. Also, as long as we’re discussing safety measures for your pet, just a reminder to always keep your food or treats in their original packaging. Food bags especially are designed for optimal freshness of the product, and if there ever is a recall or a problem with your product you will have the relevant lot and date codes to identify the bag for tracking purposes. If you have a food storage container, just set your food bag down into it. This also will keep your container cleaner, prevent you from having to wash and dry it thoroughly between bags, and keep cross-contamination to a minimum. Green Dog Naturals is one of the ONLY, firsthand U.S. manufactured (meaning they own the facility) products, and additionally they are Certified Organic! This product line is very unique. We’ve carried it for some time with great results! Green Dog offers not only daily nutritional support, but also mobility, calming, and more. Our products are manufactured in the U.S.A. in a certified-organic, GMP (Good Manufacturing Practices) and FDA compliant facility, located in South Florida, which also manufactures human dietary supplements and is licensed for OTC manufacturing. All raw materials are rigorously verified for authenticity and tested for potency and purity prior to use. Our products are approved by the National Animal Supplement Council, which means we have completed rigorous independent audits of our manufacturing facilities. The NASC Seal of approval on our labels, indicates our commitment and compliance to the highest standards of quality assurance. New from BFF…grain free pouches for your cat! Super-Safe People Food Processing Standards - BFF is produced in a facility that also produces food for people. The factory operates at international human food processing standards, including that of the super-strict British Retail Consortium (BRC), and the pet food processing must pass BRC scrutiny. The Ingredients - The main ingredient is a red meat or dark meat from tuna, primarily skipjack or bonito, two smaller and highly sustainable species. The cuts contain lean muscle meat and have a taste and aroma that drives kitties wild! Amongst the various flavors, we include value added toppers such as boneless skinless chicken breast, duck, lamb, salmon, shrimp and pumpkin. Wild Caught and Dolphin Safe - And speaking of kitties going wild for BFF, all of the fish used is wild caught, with the exception of tilapia. The catches of fish are also certified to have been safe for dolphins and turtles, as certified by the ships’ captains. Gravy and Aspic - BFF is available in cans and pouches, and all flavors deliver high moisture. The cans come in both gravy and aspic, and the pouches are all in gravy. The gravy is what you’d expect it to be…simply Cat-tastic for those kitties that love to lick! The aspic is similar to Jello in that it starts off as a powder that is mixed with water, but when cooked, it takes on a gel like substance. It is great for “protecting” the ingredients in that you are able to see and identify the ingredients that we use. Enjoy a Night Out for Lakeland Animal Shelter! Sprecher’s Restuarant & Pub in Lake Geneva, WI, is teaming up with Lakeland Animal Shelter for an entire day of fundraising and they need your help to make it a huge success! 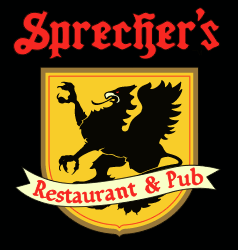 The more people who eat and drink at Sprecher’s in Lake Geneva on January 17th from 11am-8pm, the more Sprecher’s will donate to the Lakeland Animal Shelter. So come on down—treat yourself to a Sprecher beer, great food and sign up for their raffles and help them raise much needed funds for the many animals in their care. Hope to see you there! Wellness Simple Food Solution Canned Dog Food — Buy TWO get TWO free!